If you have ever had trouble with accidental or unintended ALL CAPS, you might be interested in disabling your caps lock key. In my experience accidental activations of caps lock greatly exceeded those occasions on which I actually want it. As in, I can hardly think of a case where I need it. 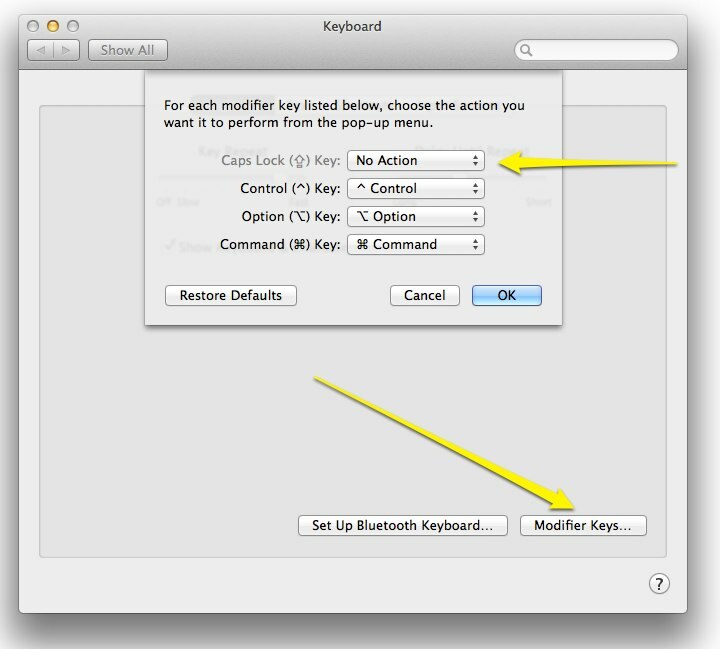 The caps lock key, and its little green light (on some keyboards) are not fixed in hardware, but are controlled by your Mac’s software. It’s easy to disable it. Start by opening System Preferences. Choose Keyboard. Within the Keyboard preference pane, choose the Keyboard tab as shown. 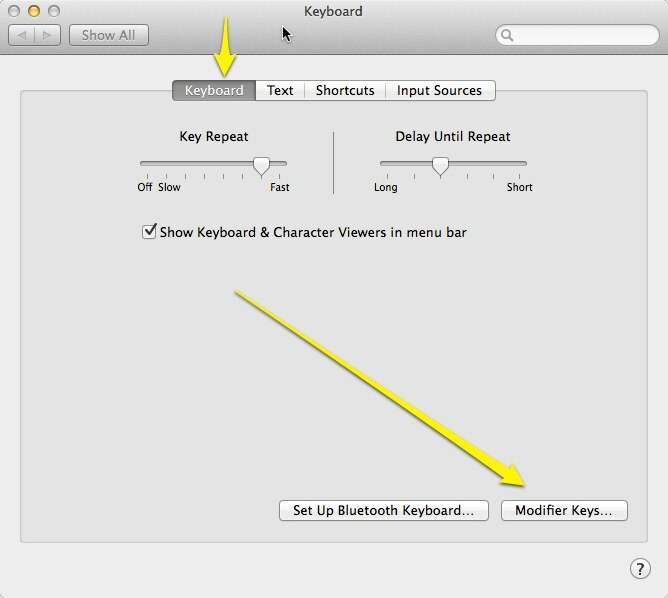 Then click the Modifier Keys… button. A pop-up will appear. Click on the Caps Lock�toggle, and select No Action. Now, click OK and close System Preferences. That’s it. Your caps lock key is completely disabled. Enjoy your freedom from accidental eruptions of capital letters in your text. Just remember that you did this, and don’t decide later that your keyboard is broken. In the few cases where I need to type a sequence of capitals, I find it easier to just hold down the shift key instead of going back to System Preferences. Also note that the change only applies to the one user account where you made the change. This is a good thing, so when your spouse or kids are using the computer under their own name, the keyboard works as they expect it and they don’t come complaining that your caps lock key is broken.